Hazel Nuts is a group of women from diverse life paths that share fellowship in unity through Jesus Christ. Hazel Nuts exists to help women define their identity as women in Christ Jesus so they may become authentic sisters in Him, glorify God and serve the community. Hazel Nuts hosts a variety of events throughout the year. 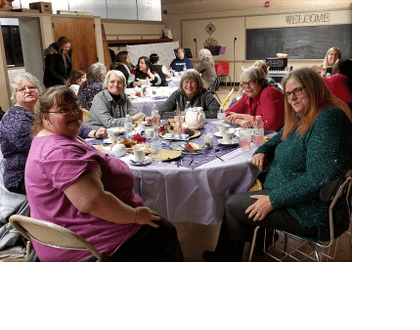 We have organized Advent and Spring Teas, fall retreats, picnics, a mentoring program and other events. Our goal is to provide warm and inviting activities that encourage women to build friendships and to grow as women of God..
For more information on upcoming events, please visit our Facebook page, Hazel Nuts of Blessed Hope. You will find our calendar at the top of the page and in the Notes section.